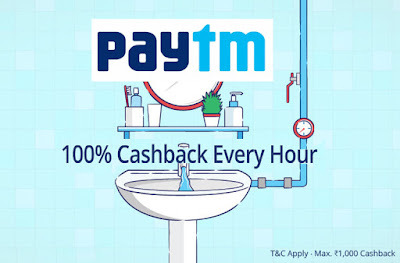 Paytm Offer on Water Bill Payment | Get 100% Cashback Every Hour. User have to use promo code- 'PAYWATER' when paying water bill. Under this offer, one lucky customer will get 100% cashback every hour. User can get maximum cashback of 1000 rupees. Promo code will be valid once for every CA number. This promo code can be used by every user 3 times. This promo code is valid only on water bill payment. Cashback will be deposited in the user's Paytm Wallet within 24 hours of the transaction. Paytm reserves the right to end any offer without prior notice at its sole discretion. Paytm Movie Offer on Citibank Credit Card | Get Upto Rs 500 Cashback. Paytm Movie Promo Code | Get 50% Cashback on Movie Tickets. Paytm Movie Offer on ICICI Net Banking | Get Rs 100 Cashback. 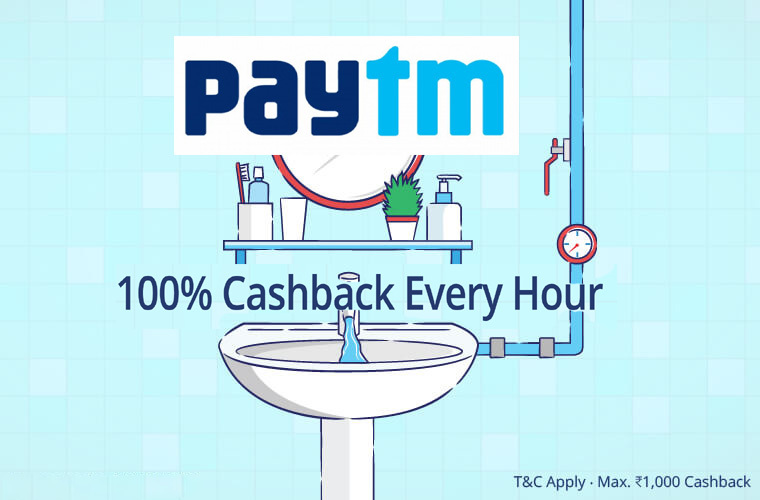 Paytm Movie Ticket Promo Code | Get 100% Cashback on Movie Tickets. Paytm Movie Ticket Cancellation Offer | Get 100% Refund on Movie Ticket Cancellation.